Just last night, Apple had just released too many interesting stuffs to its’ fans and its’ world. Many things happened last night which cause me not to slept until 01:00AM. The 3 major things that Apple introduced last night were: Mac OS X Lion, iOS 5 and iCloud. But What make me so interested in was the Mac OS X Lion, which i was waiting for so long. Apple also demoed some special feature that Lion will brings to its’ user. Launchpad: you can launch and browse your applications in the way you wanted it to be without any doubt. Launchpad will show you the apps in your entire Mac, no matter where your app is. Auto saved: this great feature will automatically save your work in the background silently. No matter you turn your computer off, no mater you lost the power, no matter you quit it, auto saved will save it and you just can access to your previous works right time. Resume: Lion will resume everything that you just opened without any doubt. You quit the app, you close your iWork documents but you just can access it with right place that you just do with those app perfectly. Version: what’s the version will Lion bring to you? Version is the completely imaging feature which is help you to do, edit and review all your documents. It’ll save you current work like a time machine, so you can review it and choose what part of you documents to edit again. The most exciting, it let you copy and paste your text, image without any problem. AirDrop: you have problem with file sharing? Bluetooth could be the best way for all PC user, but in Lion, you don’t need to worry about it. AirDrop will find, setup and discovery the people around you automatic. You just drag and drop your documents to your contact you want to share and everything will done pretty well. Mail: the brand new email apps build-in in Lion is just the awesome email ever. This are just the some of my preview of Lion which it’ll launch to the public in July 2011. And the most important is, it’s just only $29.99 and you can download it right from your App Store on your current Mac. Tonight, June 6th, 2011, the world biggest technology conference will held in tonight at 01:00AM (Cambodian time). 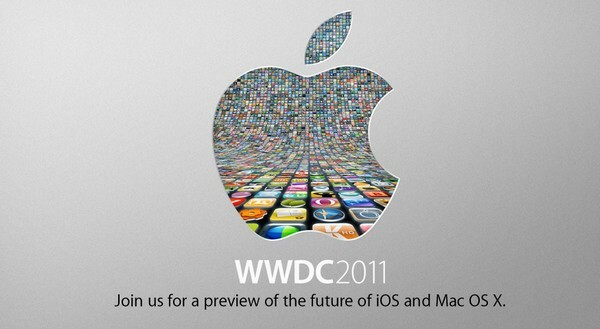 WWDC 2011, Apple will not introduce their new generation of iPhone, but instead they’ll introduce iOS5, or maybe Mac OS X Lion which everyone is waiting for long time. If you remember, Lion has many things improved and develop from current Snow Leopard combined iOS which it’s really success on iPad and iPhone devices. I can’t wait to see what’ll Apple introduce to their fans tonight. There are too many way to record or create your new contact on computer or even on notebook. One way among it is record by using you pen and book and it’s the easy way. But those are the old way, maybe it’s little bit out-of-date way to record an address book then. Now, there is a very easy way to create or record your contacts from Gmail or Yahoo!Mail. With Address Book on Mac, you can record or copy your contacts from Gmail or Yahoo!Mail easily. Go to Configure —> Enter your Gmail account and password —> Ok.
That’s the easy way to sync your Gmail contacts with your Mac. Anything more, you can go to this website and read about it for more detail. I agree that Windows platform PCs have too many softwares and many developers working on it. Softwares for Windows are growing to damn fast and sometime i think, wow!, i can’t believe it. However, the big problem of Windows is stability and error fixing. I am using Mac for years but i rarely to see the errors on it. But the biggest problem for Mac platform is limitation of softwares support and developing. For sure, Yahoo! Messenger which i am using everyday is still in Beta version and this Beta version is for more than a year and it seems that no sign that Yahoo! will move or develop their Yahoo! Messenger for Mac from beta version to a final one though. Today, Apple released some important update for every Mac users. 2- Apple also update Safari to the next version Safari 5.0.5 and recommend for all Safari users. 3- Security Update 2011-002 is recommended for all users and improves the security of Mac OS X. So, let’s update our beloved Mac together then.